Chino G drops off a dope visual for his track “They Dont Want None” featuring Lucky Luciano and Dat Boi T. You can catch Chino and his entire Relentless family March 7th at the Impala Ballroom. 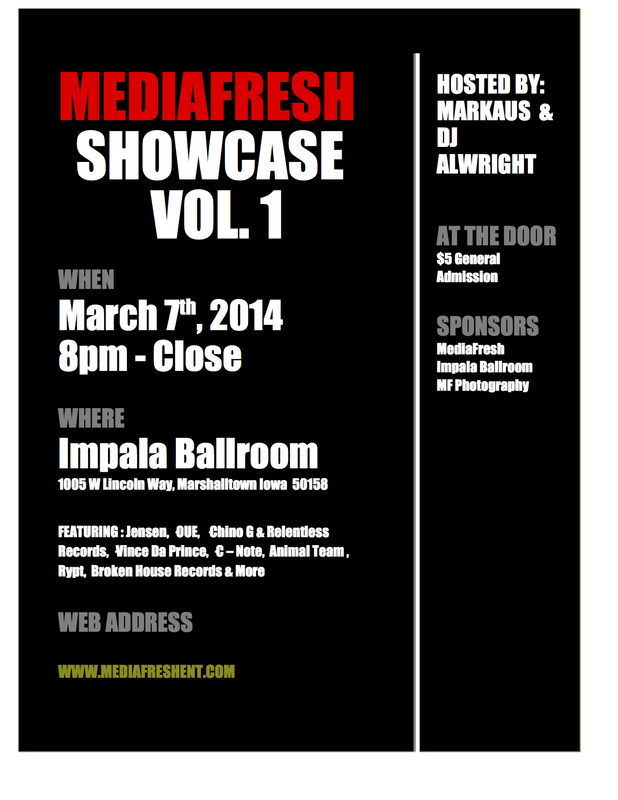 The Impala Ballroom and Media Fresh are proud to bring you the first in a series of events dedicated to showcasing the rising Iowa hip hop scene. With music provided by DJ AwlRight hosted by MarKaus. Check out the new visual from Jensen called Happy End from “The Race Against Time”. Shot by PLVTO Pros.